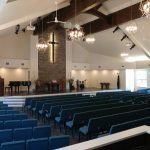 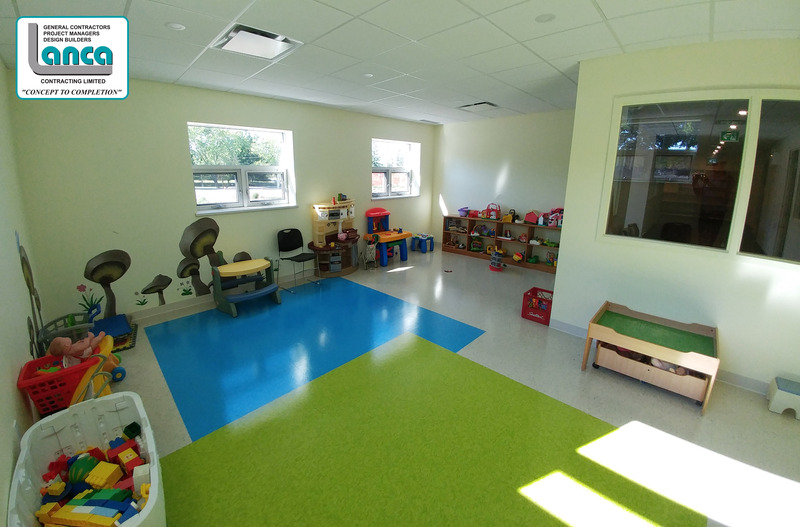 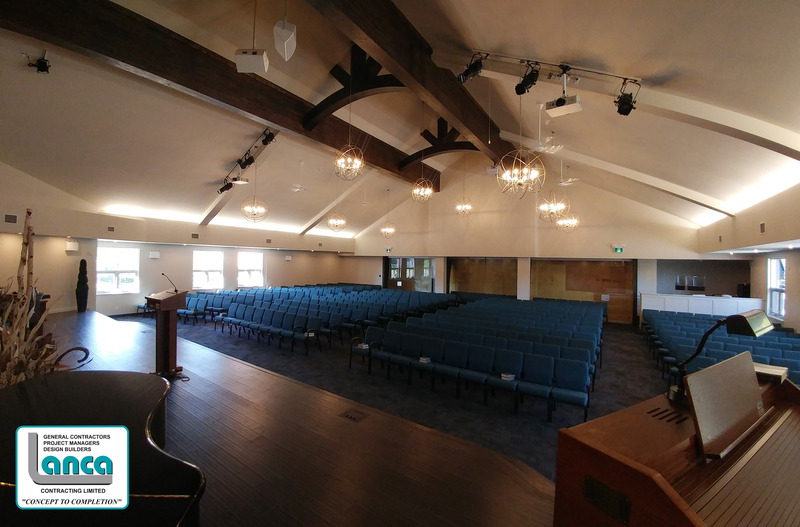 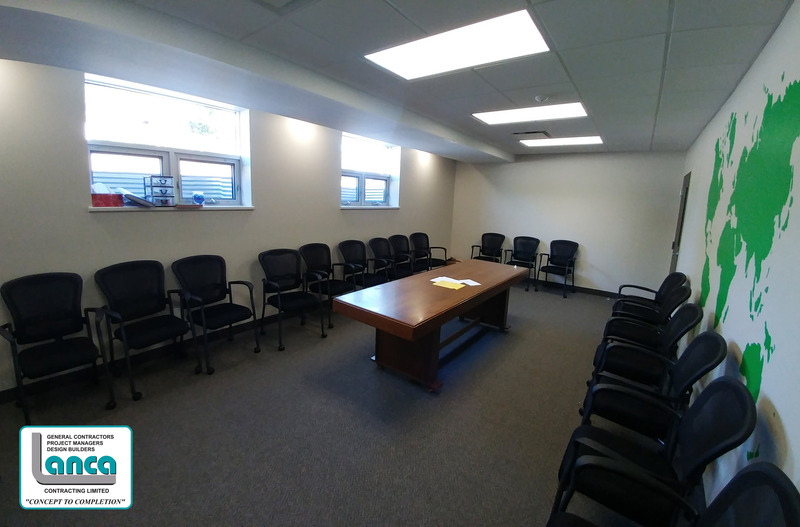 York Maranatha Christian Reformed Church – Phase 1 Completion – LANCA Contracting Ltd.
Lanca Contracting Limited is pleased to announce the successful completion of Phase 1 of the York Maranatha Christian Reformed Church, a building addition located on 33 King Ave, York, ON. 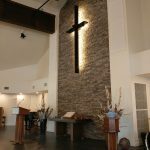 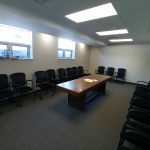 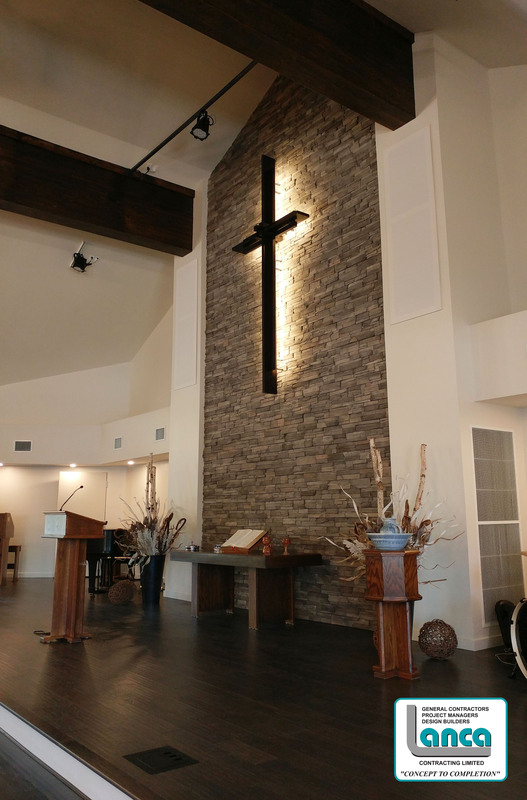 This project, in planning since 2009, involves a 9,000 square foot addition to the existing church building for Phase 1, with renovations to the existing building planned for Phase 2. 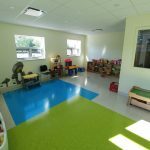 The new basement level of the addition adds 6 new classrooms, new washrooms, administration offices, and a new walkout basement entrance. 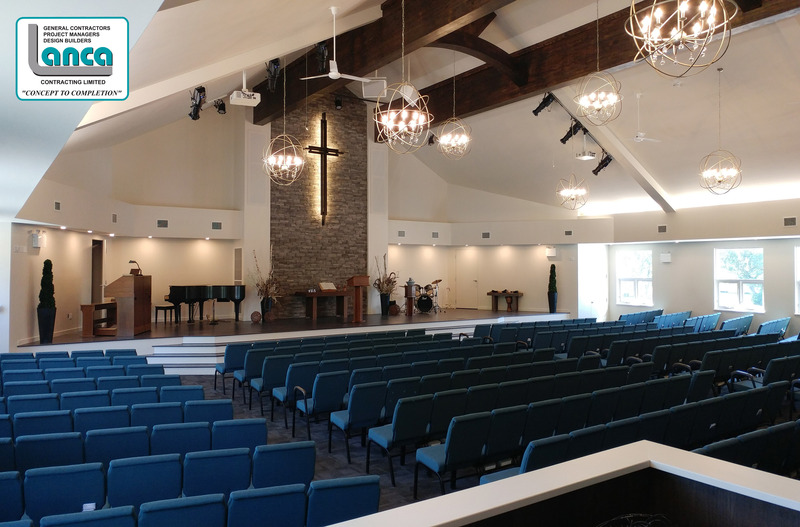 The main level addition adds a new Nave and Stage, complete with all new air handling systems, sound systems, stage lighting, and modular glass wall. 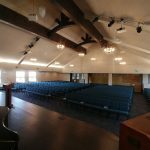 For additional information on the project please visit York Maranatha Christian Reformed Church Addition.